Equal parts fresh ruby red grapefruit and creme brulee in one sweet little package. 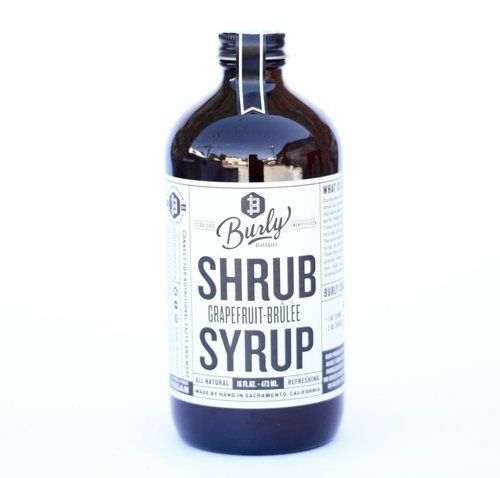 Made with plump ruby red grapefruit from Placer County that we cut in half...dust with organic blonde sugar and then torch until the sugar is slightly burnt and caramelized. Next we add them to a syrup of ruby red grapefruit juice, apple cider vinegar, white wine vinegar, turbinado sugar and our house made spiced rum-vanilla extract. The vanilla flavor in combination with the torched sugar and charred grapefruit provides this shrub with a playful custard vibe that sets it apart from similar shrubs.